Individual student spiritual development tracker for adult volunteers with room for 10 students. WHO IS KNOW GROWTH FOR? Are you a small group leader, coach, youth volunteer, or mentor? Are you influencing and investing in students’ spiritual growth? If so, then this book is for you. 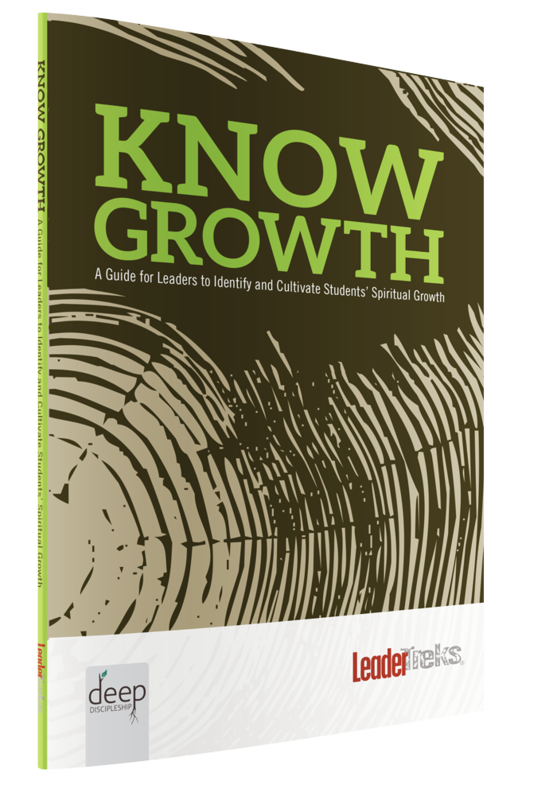 Know Growth is a discipleship tool to help you develop the kind of relationships that will grow students into disciples who will influence others. In this book, you’ll track the growth you see in their lives, identify the fruit they’re producing, and discover areas to challenge and encourage each student. No one but the Holy Spirit can transform the heart of a student, but as leaders we are responsible for reflecting, uncovering, and resembling the truth that saves lives and makes disciples. We offer nudges, whispers, and embraces along the way. This book comes with space for you to encourage and cultivate 10 students on their discipleship journeys. For each student, you will find a Profile Page, a Growth Plan, and a Discipleship Map. Profile Page: Designed to grow in sync with the depth of the relationship you are building with each student. Growth Plan: A place to note the things God is doing, identifying his movement in and through a student’s life. Discipleship Map: An innovative tool to help you observe eight core roots of discipleship in your students. By watching for traces of depth and warning signs, you’ll identify which roots each student has deeply connected with.